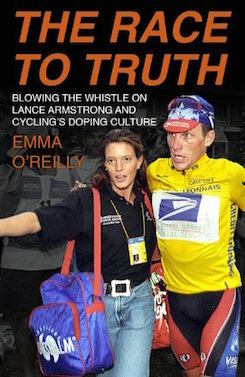 Emma O’Reilly was disgraced Tour de France hero Lance Armstrong’s masseuse and the whistle blower who bought him down. At his side for two years, she describes her relationship with him as like ‘brother and sister’ while serving the US Postal team. Chosen by Lance as his personal soigneur, Emma attended to his every need, becoming confidante to the biggest star during one of the toughest races in the world. But despite Emma’s anti-drug stance, the only woman on the team soon found herself in terrible predicaments when Armstrong asked for help to conceal his drug cheating. After wrestling with her conscience, Emma finally spoke out facing a decade long bullying campaign and £1 million law suit. In her sensational memoir Emma lifts the lid on life behind the Tour de France and one of the biggest sports scandals this century. 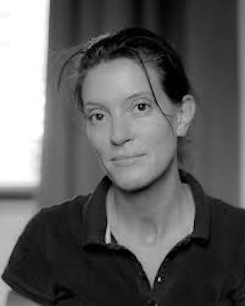 Emma O’Reilly is a 42-year-old massage and sports injury therapist living in Cheshire who runs her her own business The Body Clinic. A keen cyclist herself, Emma worked for scandal hit US Postal team for two years during the Tour de France. "SELECTED IN 'BEST SUMMER READS OF 2014'. O'Reilly may be a woman who knows where the bodies are buried, but intriguingly this compelling memoir doesn't appear motivated by revenge or vindication - although no one could fault her had she chosen to pursue that avenue. Rather it is an attempt to help salve and heal the damaged reputation of the sport she loves. It's worth checking out for the foreword by Armstrong himself in which he comes as close to being genuinely humbled as I've heard him." "O'Reilly may be a woman who knows where the bodies are buried, but intriguingly this compelling memoir doesn't appear motivated by revenge or vindication - although no one could fault her had she chosen to pursue that avenue. Rather it is an attempt to help salve and heal the damaged reputation of the sport she loves. It's worth checking out for the foreword by Armstrong himself in which he comes as close to being genuinely humbled as I've heard him. " "… I think deserves mentioning is the brilliant way that Emma engages with the reader; possibly because of her ability to humanize matters. She really draws the reader in and essentially makes them walk through everything as if they were really there as a fly on the wall. The ability she has to make the reader feel the guilt of involvement in the drug scene of cycling, the agony of the legal procedure and the emotional roller coaster that eventually leads to hope is executed brilliantly. I recommend this book whole heartedly. It’s a book that possibly more than anything gives us a more rounded view of the era of cycling we have- hopefully- emerged from. For those out there , like me, were the Armstrong fans who read the autobiographies and drunk in the words in blind belief: read this book., I found it a great blank filler." "I think deserves mentioning is the brilliant way that Emma engages with the reader; possibly because of her ability to humanize matters. She really draws the reader in and essentially makes them walk through everything as if they were really there as a fly on the wall. The ability she has to make the reader feel the guilt of involvement in the drug scene of cycling, the agony of the legal procedure and the emotional roller coaster that eventually leads to hope is executed brilliantly…I recommend this book whole heartedly. It’s a book that possibly more than anything gives us a more rounded view of the era of cycling we have- hopefully- emerged from. ..For those out there , like me, were the Armstrong fans who read the autobiographies and drunk in the words in blind belief: read this book., I found it a great blank filler." "Elsewhere, the former soigneur Emma O’Reilly’s memoir The Race to Truth(Bantam Press) offered fresh insights into the Lance Armstrong story from a player who was neither campaigner nor cyclist but someone stuck in the middle." "This well written book gives a behind the scenes look at what really happens in the competitive biking world. It was an eye-opening account of a first hand witness. " "Emma's straightforward, non-nonsense, account of her time as a soigneur and of her role in unveiling the truth about Lance Armstrong and doping in cycling is engaging and fresh. It's both brutal about Armstrong as a person and as a doper, but his also places his performance drug abuse in the context of the sport at the time. It's interesting that Armstrong himself provides the foreword to the book as he doesn't come out of it well." "A great book, very informative and interesting. A real page turner. I couldn't put it down. Highly recommend. "